I learned how to pick sweet white nectarines a few years back from a lady who was standing next to me picking I think peaches. I was picking the ones that were firm and unblemished. I think I had 3 or 4 fruits in my plastic bag when the lady turned to me and said the ones I was picking weren't sweet. She picked up one blemished nectarine and pointed to the dark yellow patches and said to buy those instead. I know I'm not a good fruit picker so I really had nothing to lose but more to gain from this lady. I put back the nectarines that were in my bag and started to look for the ones that the lady showed to me. I'm glad I listened to her. 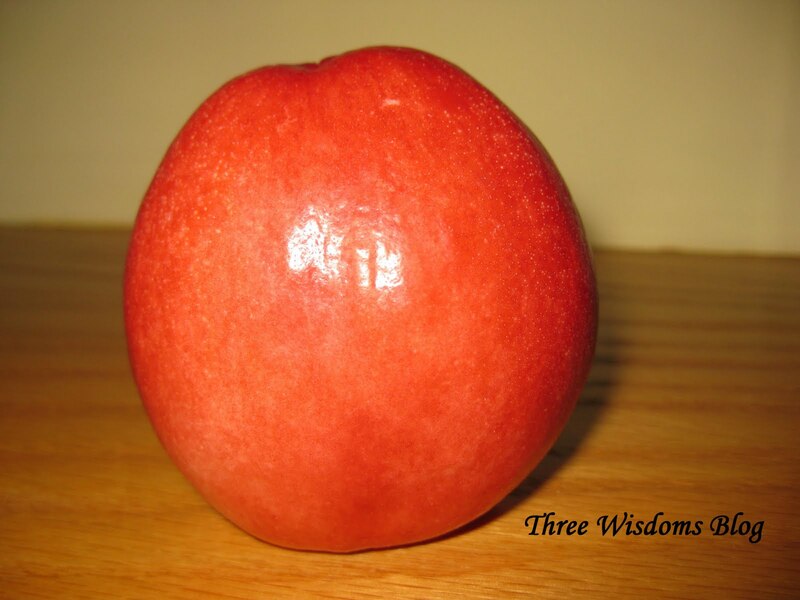 I'm passing this knowledge to all my readers since nectarines are in season right now. I am never given the job to pick fruits. Maybe, I will have that now! Thanks for the tip. Peach, normally I have here is the tinned version. Thanks for the info. I really them and they are in season now. Which reminds me, I have to go buy some tomorrow. she was so kind to share the information with a stranger. i learn to pick fruits from my mum too. they are indeed the pro in these field. Wise advise from this lady and thanks for sharing. I love summer fruits especially nectarines. I love the firm ones. I must confess I do not know how to pick which ones are ripe. The last time I bought were not sweet. That's is a very good tip and great sharing tQ. 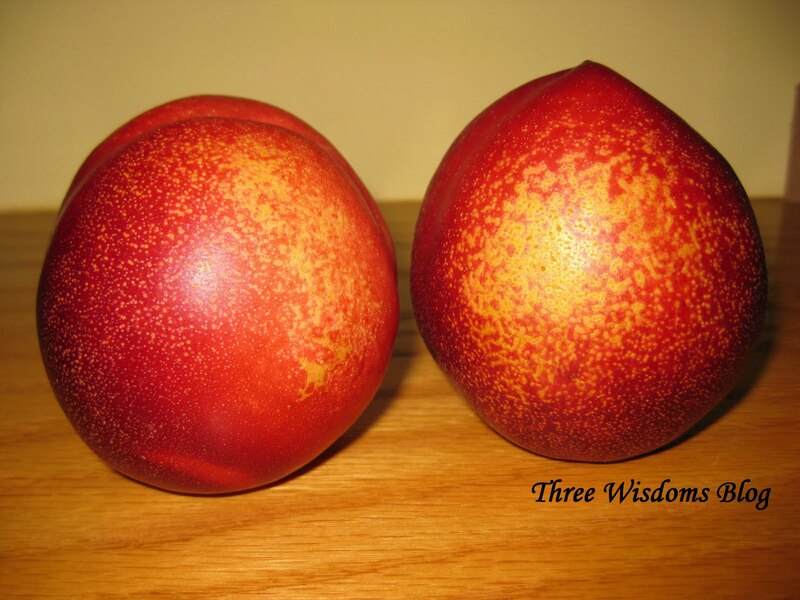 I am so not a nectarine fan...but maybe it's because I've been picking the wrong ones! Every year I buy some and every year I am disappointed, now I know why! I'm going to the store tomorrow to grab some that look like that! Shall look out for THAT look! Thanks for the sweet tip. Thanks for the info. I love nectarines. Have a nice day, Rosebelle. I love little tips like these! I'm always curious how people choose fruits at the market since I always end up taking home the ones that don't taste as good. I've blindly squeezed fruits and knocked on watermelons but never knew what doing those really meant. At least I know how to choose nectarines the correct way now! Wow thanks... I just picked 2 very firm peaches last sunday but luckily I put them back after I saw the price...RM4.50 PER FRUIT!! HOW TO EAT LAH LIKE THAT??? I think I'll buy them when they are on offer...would like to introduce my toddler to some peaches. I like nectarines too, but didn't know this trick. Little did the lady know her little advice helped more than just you. Thanks for passing it on. Thanks for this tip about picking peaches..I always come home with unsweetened ones.